The Speed Twin finally breaks cover, officially at least. Photos of the new bike leaked back before EICMA, so we’ve had a while to wonder if we need another Triumph Modern Classic. More importantly, is it one riders will want? Triumph’s betting yes. The Speed Twin returns. Triumph photo. You’ve got questions. Engine? The new 1,200 cc high power unit, in Thruxton tune. That’s 96 horsepower at a fairly low 6,750 rpm, with 83 foot-pounds of torque. 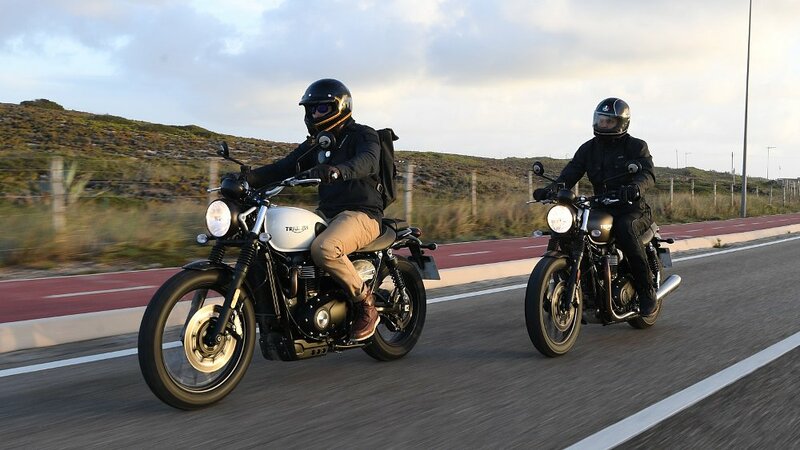 For reference, the Speed Twin easily outclasses the Street Twin’s 55 horsepower and 59 foot-pounds of torque. I know I wasn’t alone in wondering what Triumph would do with the 1200 in this bike, which could easily have been tuned differently to keep that flagship cafe racer at the top of the food chain. Nope, the engines are the same. Almost. 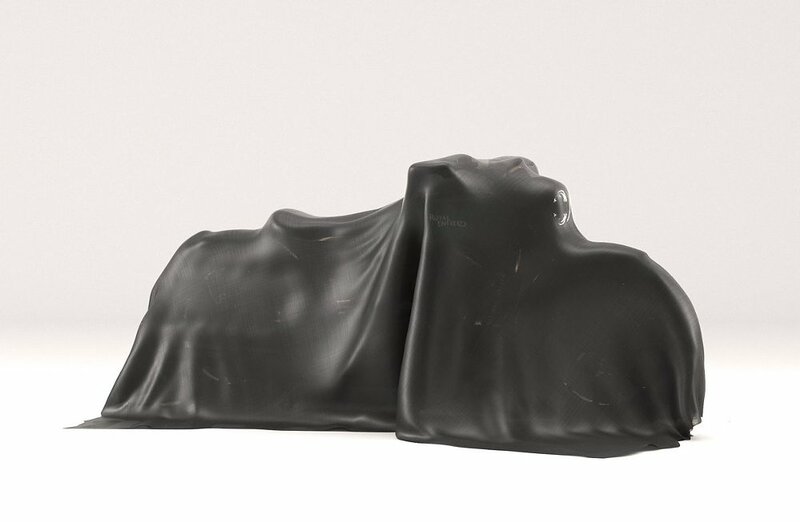 Triumph's weight savings program even affected the engine covers. Triumph photo. Triumph tweaked the clutch assembly and added fancy “new mass optimized engine covers,” plus a magnesium cam cover. Why? Weight savings. 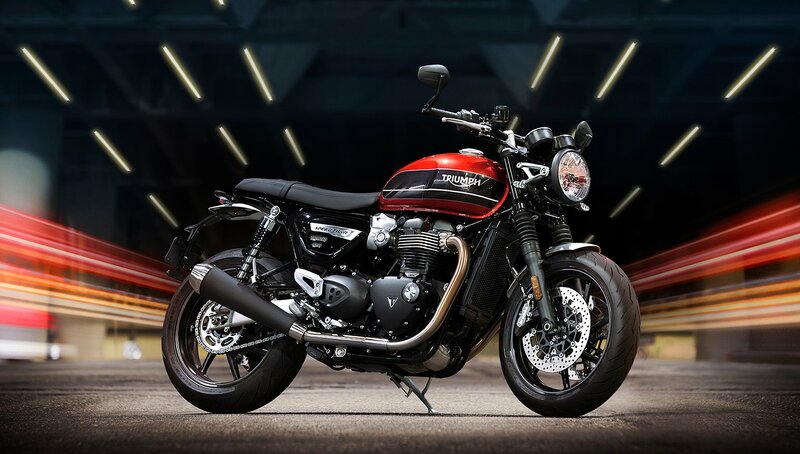 At 432 pounds (dry), the Speed Twin is 22 pounds lighter than a Thruxton, and 60 pounds lighter than a Bonnie. Still heavy, but hopefully Triumph will keep up the diet. 5.5 of the 22 pounds dropped came from clutch and cover changes alone. Ounces are pounds, and pounds are pain, as backpackers say. A two-into-one exhaust would cut even more weight, but Triumph retained the two-into-two arrangement to preserve the “distinctive British twin sound.” Triumph photo. The tubular steel frame is derived from the Thruxton R’s, with an aluminum cradle to shave more weight. The rear shocks and 41 mm front fork look like they’re KYB units off the base Thruxton, but no word from Triumph on their manufacture yet. However, the Speed Twin gets dual Brembo four-pot calipers up front, more like the Thruxton R, but the discs are 5 mm smaller in diameter at 305 mm. The Speed Twin is more practical than the Thruxton. Its bench seat, for example, offers a better perch for passengers. Triumph photo. Most of the other running gear is what you’d expect a Triumph at this end of the lineup. Assist clutch, ABS, multi-mode traction control, three riding modes, and LED lighting. Seat height is accessible at 31.8 inches, and the tank holds 3.8 gallons. Of course, if you’d like to customize your Speed Twin, Triumph already has a catalog of accessories to bolt up. All very normal. 305 mm discs and beefy calipers. The Speed Twin should have no trouble stopping. Triumph photo. Price? According to Triumph’s website, that’s classified until January 18, but let's make an educated guess. At the top of the range is the Thruxton, starting at $13,000. The new base Street Twin is $9,300, or you could spring $10,500 for a Street Cup. Could Triumph deliver the Speed Twin for under $10,999? I hope so. Anything over $11,000 may trigger a strongly worded article from Spurgeon about rising Brit-bike prices. Triumph, don’t make Spurgeon write that article. Please. It makes him very upset. Ready or not, here it comes. Triumph photo. The Speed Twin comes in Silver Ice/Storm Grey, Korosi Red/Storm Grey, and Jet Black. Getting back to the question from the top of the article, do we need another Triumph Modern Classic? I’m not sure. I do see a gap in the lineup for both price and performance, right between the Street Cup and the base Thruxton, and that’s exactly where the Speed Twin is positioned. But do I only see something missing because of how crowded the rest of the lineup is? None of that matters if the Speed Twin is priced right and delivers the fun of the Thruxton for a lot less money and a little less weight.